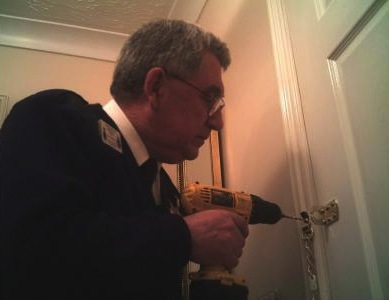 A very peculiar door to door caller is operating in Brownhills…. Imagery from Bing! maps. The caller was challenged by a householder yesterday as to what she wanted and what her purpose was, and received no answer. There have been several reports of this bizarre occurrence of the last couple of days, and I’d advise anyone to be careful, and to contact the police about anything they feel is suspicious. For more information on the signs that give away rogue traders, read Community Partnerships Officer Kevin Pitt’s blogpost – Making Walsall Too Hot for the Bogus Callers. Tell your elderly relatives and friends to be careful; local police can advise on door chains and other security measures. Most of all, don’t buy at the door! Image from Cambridge Police. Hi Bob I had the same yesterday. Only a young man waved to me through the porch holding a clip board, I presumed he was mute, but told him straight away I wasn’t interested, he understood and went next door. Its a distraction scam.Its been going on in pubs and clubs for a while.Someone hands you a piece of paper with writing on and while you are attempting to read it their accomplice robs you,normally happens if you are sat down at a table with your mobile phone,wallet,purse or whatever in view. That happened to us on holiday in Lanzarote. We never twiiged what was going on but very suspicous. Bar staff shooed them away one time. Pretended to be deaf as well. Hi Bob – this occurred yesterday around The Avenues in Brownhills, but was a male and a female knocking on alternate doors! They are certainly not deaf as a lady up the road from us signed at the guy and he hadn’t got a clue what she was on about! This sounds very similar to a report that came in from the Park Hall area on Sunday 20 December. A male, also pretending to be deaf and/or mute was calling door to door showing paperwork that claimed he was collecting for the charity Handicap International. The police responded to these calls but patrols were unable to locate the man. Enquiries with Handicap International have revealed that this male was NOT collecting on their behalf. Indeed they state that they have been made aware of fake collections being made in their name in other parts of the UK and across Europe by an Eastern European criminal gang. I’m sure readers of this blog know exactly how to respond to these people.